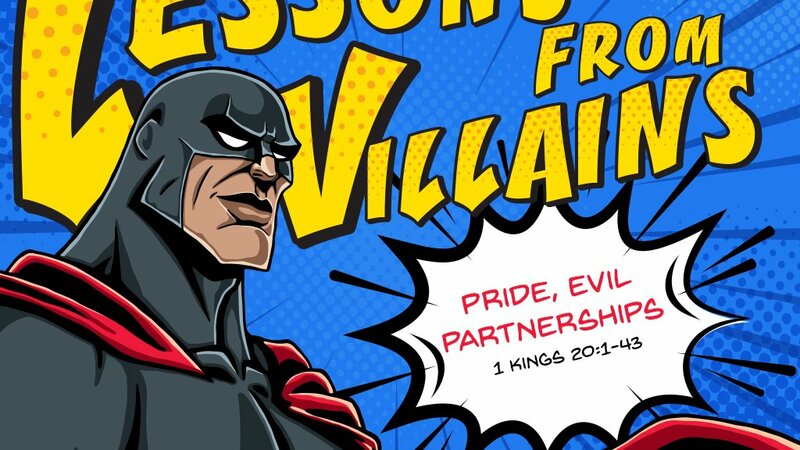 Lessons from Villains: Pride, Evil Partnerships 1 Kings 20:1-43 I. We all get demands for surrender; 20:1-6. Israel’s old foe Syria rouses itself again. Fully armed and accompanied by a coalition of thirty-two kings, Ben-Hadad attempts to capture Samaria. Ahab agrees to give money, women, and children in return for a retreat. Because of continued humiliating demands the Israelites decide to fight rather than surrender. A war Israel seems destined to lose appears to be inevitable. How easy is it for us to play Ahab? It takes Spirit-filled courage to stand up against bullies who want us to compromise biblical truth. The spirit of Ben-Hadad is at work in the world. 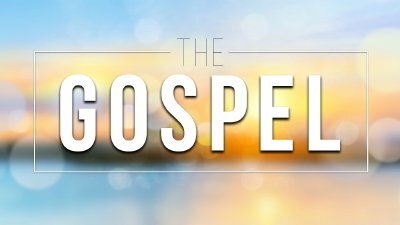 We will be tempted not to view sin as wickedness, to be silent in evangelism, not to treat marriage as a holy covenant, and not to insist that Jesus is the only way to salvation. In moments of timidity, let us look to God, who alone is sovereign, for strength and power to do and say what is right. II. God’s mercy extended to us in the calls to surrender; 20:13-14, 22. Consider the grace of God here. The word of God came to Ahab. Did he deserve such a gift? No. This was grace. And how will the battle be won? Yahweh will hand him the victory. Could Ahab have defeated such a multitude on his own? No. This is grace upon grace. Notice also the purpose of God’s grace: “That you may know that I am Yahweh.” Israel wins the battle, though Ben-Hadad manages to escape. Another prophetic word tells Ahab the enemy will regroup and strike again in the spring. Ahab had only received opposition from the prophets, but in this passage, he hears the promise of victory. What did Ahab do to experience victory? Nothing. Throughout Scripture we find that “salvation is from the LORD.” While we were perishing, God intervened and won the most important victory in the most unlikely way-through a cross. III. God offers to defeat our enemies; 20:28-30. This is the third time so far that God has sent His messenger to Ahab. Syria must learn the Lord exists everywhere and controls all terrain, so Israel will defeat the larger army again. The Lord is portrayed here as sovereign over all matters in all nations. Israel’s victory is so complete that Ben-Hadad is forced to flee and hide from Ahab. By now Ahab should know who his God is, who God’s messengers are, and who his enemies are. Unfortunately, he remains oblivious to the implications of what he has seen and experienced. The God of the Bible is Lord over all things, and we should seek to place the totality of our lives underneath His rule. We shouldn’t live with a distinction between our secular lives and our spiritual lives. Submit your private life, public life, church life, dating life, financial life, family life, work life, and recreational life to the Lord Jesus Christ. Seek to glorify Him in every way. IV. Pride can steal our victories; 20:31-34. Ben-Hadad pleads for his life and his request is granted. Inexplicably, Ahab makes a treaty with this long-term foe who has twice sought to devastate Ahab and his people. Pride can steal away the victories that God wins for us. Partial obedience is still disobedience. V. Ungodly partnerships have consequences; 20:35-43. Ahab does not realize he is pronouncing judgment on himself when he exacts judgment on a presumed soldier. Only God can balance judgment and mercy. Judgment always begins with God's own people. The message of the church must point to its own need for repentance. If Christians are honest, they have much for which to repent.  Their values do not suggest that their lives are committed to seeking first the kingdom of God. Grace and mercy are implicit in the story. Ahab not only fails to seek divine guidance, he appears to resist it each time it is given. His failure to pass God's judgment on Ben-Hadad is fatal. He responds to the announcement of his own judgment with anger and resentment; to his own demise and that of his nation. Grace is amazing because God shows it to those who don’t deserve it. Ahab and Ben-Hadad are living illustrations of how not to live. They show us what “the fear of the Lord” doesn’t look like. Drunkenness, greed, violence, injustice, and faithlessness is not how you should live your life. The saddest part of the chapter is that God actually showed grace to these men, yet they still refused to see the Lord for who He is and submit to Him. Jesus lived a sinless life and gave His life for sinners like these men. Look to Him for salvation. Look to Him as your example of how to live a humble, others-oriented life. Look to Him for power to do justice and show mercy. When you’re confronted by God’s Word, you can respond with faith and obedience or walk away resentful and angry.